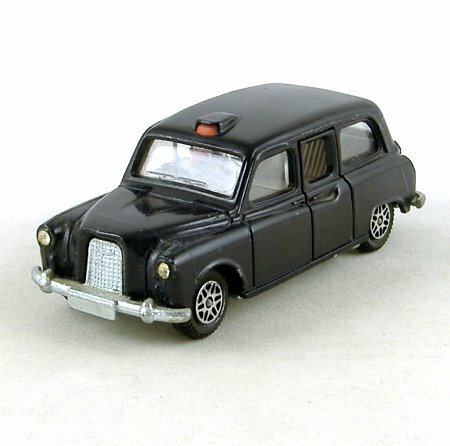 Black, with unpainted metal base, grille and bumpers and grey interior. Orange roof sign, red rear lights. Opening passenger doors, detailed interior with driver figure. Jewelled headlights. Speedwheels and suspension. In very good condition, a small area of paint loss on the rear number plate and another on the door sill on the driver's side.